Comic #91 – The Aftermath | I made inky. This entry was posted on Friday, November 23rd, 2012 at 8:53 am and is filed under Comic. 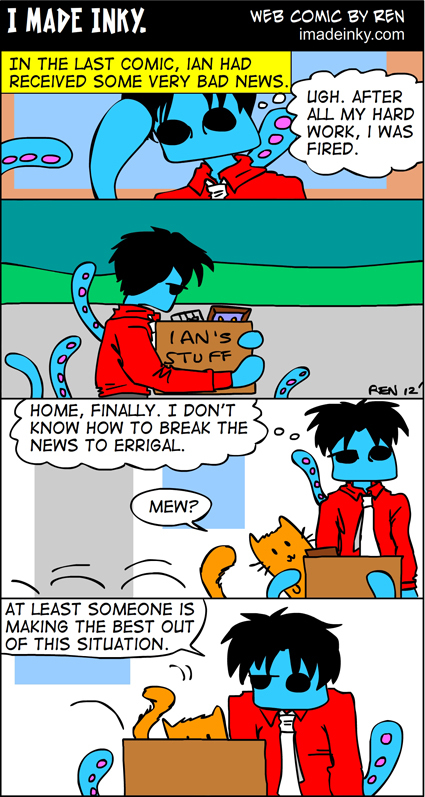 Tagged: cat, cephalopod, comic, ian arcticus, imadeinky, job, kitty, octopus, office, Scooty, unemployed, web comic, webcomic. You can feed this entry. You can leave a response, or trackback from your own site. « Comic #90 – Bonus.